Energy Matters is one of Australia’s largest companies solely dedicated to residential, commercial and wholesale solar energy and storage solutions. Discover more about Energy Matters below. The award winning business started in 2005 and has since installed more than 23,000 solar panel systems on homes, schools and commercial buildings. This includes Australia’s largest privately funded solar photovoltaic project – a 400kW rooftop array in Melbourne. 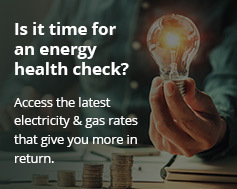 Energy Matters commits to helping Australians reduce their electricity bills with quality solar systems at affordable prices. Its nationwide team of passionate and knowledgeable solar advocates, expert installers and reputable brands are the foundation of its success. Energy Matters sources only products that have gone through testing in Australia’s harsh conditions. With expertise in both grid connect and off grid power, Energy Matters is able to provide flexible clean energy solutions to fit almost all needs. Energy Matters is proud of its commitment to ongoing innovation and product development. Its SunLock solar mounting system, featuring local design and manufacture, mounts over 75MW of solar panels to roofs across the nation. Energy Matters’ wholesale distribution arm is a trusted supplier of renewable energy components throughout Australia and the Asia Pacific. Energy Matters also is also a proud Clean Energy Council (CEC)member. Our mission is to be the best solar supply and installation company in Australia for residential and commercial solar energy systems. We are continually striving to maintain excellence in components, installation and superior customer service. Learn more about why Energy Matters is the company to trust with your solar installation. Three friends sat around a kitchen table in suburban Melbourne in 2005. One was working in solar energy, another was working in information technology and the other was in the banking/finance sector. They were all dissatisfied with their current positions and hopeful their combined strengths would lead them to something better. From these fervent kitchen table discussions, Energy Matters was born. It functioned for its first three months as an online distribution company of solar power systems from a garage. With warehouses around Australia, within just ten years, we’ve grown into a staff of over 75. We are responsible for an installation network for commercial and domestic solar power systems, as well as stand-alone equipment for those living in remote areas of Australia. Our site has gained note as one of the top ten in the world for purchasing solar and renewable energy online and Energy Matters has been the recipient of number of awards. We’re very proud of the people who power our company and they are genuinely passionate about green living and renewable energy too! Learn more about Energy Matter’s executive staff and our team. 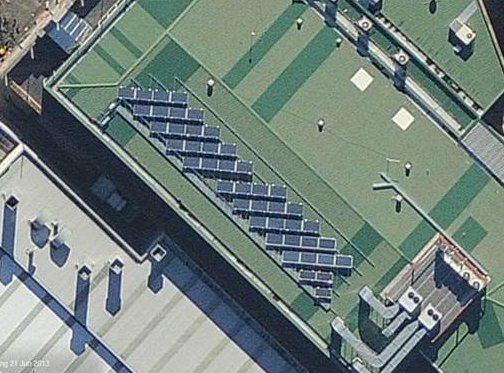 Our national headquarters has a rather unique solar rooftop – learn more about it here. Energy Matters committs to powering a brighter future by empowering all Australians to join our energy revolution. Learn more about our Customer Service Charter and understand the individual actions that power the Energy Matters business. Energy Matters has a diverse network of accredited installers throughout urban and rural Australia and New Zealand, specialising in the design and installation of renewable energy systems for residential and commercial applications. Our installers get training to deliver to the most stringent Australian and International Standards. They have a wealth of experience in grid connected and stand alone wind and solar power systems. With Energy Matters as your supplier and installer, you can have your solar power or wind energy system up and running flawlessly in no time. If you are in the industry and are a CEC accredited contractor interested in becoming one of our solar power installers then please contact us via our expression of interest form. Note, we only take the best! We are not currently hiring but will keep your details on record. As with any new technology, solar energy systems may have been treated with some suspicion a decade or so ago. Notwithstanding that, the technology is now at an advanced stage where you have the solar panels installed on your roof and they plug into your meter box. And it works for a very long time with next to no maintenance. We don’t go into long-winded technology explanations with everyone, except for the people who love solar power for its technology. In order to compete with mainstream electricity and other issues, our system has to operate and work just as well as the previous system the customer has been using. And that’s where we are today – we’re just as good. Whether you’re buying over the Internet through our secure online shopping or via our physical store, you can rest assured we only stock the very best products at the best prices – and expert advice is only a click or a call away! It doesn’t matter where you are located in Australia and New Zealand or how large the order; we’ll get it to you rapidly with our very economical and reliable shipping system. While we take great pride in providing the world’s leading green power brands at deeply discounted prices; something equally important to us is supporting the customers and community who support our business. Whether you’re a current client or just considering a switch to renewable energy solutions, our expert team is here to answer your questions. We understand that purchasing a renewable energy system can be a confusing process and a substantial outlay. You can trust we will provide you with exactly what you need – nothing more or less, at some of the best prices around. The team at Energy Matters are also thoroughly familiar with current government rebates and incentives schemes – we can literally save you thousands of dollars on a solar or wind power purchase! We’ve been heavily involved with literally thousands of solar and wind power installations, large and small. You can view some of our residential projects here and our commercial projects here. A company is judged not so much by what they have to say about their own operations, but what their clients do. Read what some of our customer reviews and testimonials. Energy Matters believes in giving back to the community that supports us. We constantly lobby on behalf of the industry to ensure that all Australians can gain accessible to clean, green energy and we are very active in providing education on renewable energy in schools and colleges throughout the country. If you’re interested in the latest happenings about Energy Matters, view our company news and press release page. For general renewable energy industry developments, try our renewable energy news section which is updated Monday to Friday with select stories on solar power and wind energy developments. Do you have a question about Energy Matters, government rebates or any of our products? Are you a member of the press looking for information on the renewable energy sector in Australia? Email us – we’d love to hear from you and we look forward to welcoming you as one of our many valued clients!